I loved the bread for sandwiches (as Beth did), and thyme added a nice touch. But I also had the same problem as Beth, that I got a dense crumb instead of the gorgeous open crumb the book promised. Next up on A Year in Bread is quick breads. Stay tuned! Looks great dear.. first time here. u have a wonderful blog & very innovative recipes.. It has come out perfectly simran....Good effort lol..
Wow ! 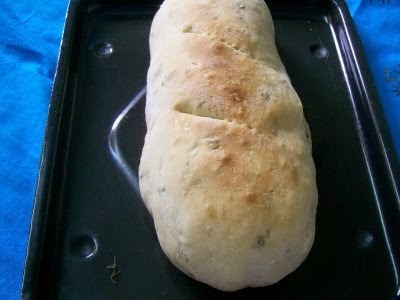 nice Blog ..1st time here ...all recipes r awsome .This Foline is perfect for panini ..i think ...wow! I have been meaning to hunt down this recipe and try it again with adjustments to see if i could fix the crumb. Thanks for making it so I was reminded.